Bantry, Co. Cork -- It is only in the past couple of years that I have come to know and appreciate the beautiful landscapes and seascapes of West Cork, and they rival any part of Ireland for breathtaking scenery and attractions. It will come as no surprise to regular readers of this column that I seek out traditional music festivals with a distinctive or regional flair that are curated by artistic directors who care deeply about what they are presenting in any given year, and have great reputations among musicians. Having visited and enjoyed the Baltimore Fiddle Festival in May the past two years, I was lured to come along to another West Cork trad fest on the shores of Bantry Bay. So last week I was drawn to the popular Cork town of Bantry to visit the Masters of Tradition Festival which was celebrating its ninth year under the curious eyes and ears of the East Clare musician Martin Hayes, who has been the artistic director since its inaugural year in 2003. Under the auspices of West Cork Music which was created and based in Bantry in 1995, the Masters of Tradition Festival follows its two other festivals in the West Cork Chamber Music Festival at the end of June into July leading into the West Cork Literary Festival in the first week of July. 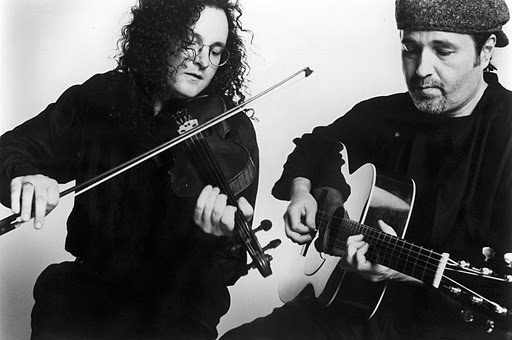 In fact it was an appearance by fiddler extraordinaire Hayes and his long-time partner Dennis Cahill (of Chicago) at an earlier Chamber Music Festival that inspired Hayes and WCM artistic director Francis Humphrys to launch an innovative event to “celebrate traditional music in its purest form” in a similar fashion to how the largest chamber music festival in Ireland was organized. In particular, the use of two extraordinary venues like the historic Church of Ireland named in honor of St. Brendan the Navigator built in 1818, and Bantry House occupied by the White family since it took possession in 1739, provides dramatic settings for the performance of traditional Irish music during this festival. The Masters of Tradition Festival began at St. Brendan’s on Tuesday of last week with Hayes and Cahill, concertina player Michelle O’Sullivan and the Begley Family from neighboring Kerry (where Cahill’s lineage lies), followed by Wednesday night with Steve Cooney, piper Mick O’Brien and Cork singer Jimmy Crowley. I arrived on the Thursday in time to see a world premiere of new music composed by David Flynn, a multi-faceted guitar player and composer born in Dublin whose crossover work in classical and traditional genres would seem a natural fit for this festival. Under a DEIS-funded scheme to create new music granted in 2008, Flynn worked to brilliant effect with piper O’Brien and his daughter Aoife (fiddle), Belfast flute player Harry Bradley and Caoimhin O’Raghallaigh bringing Flynn’s compositions to life. The music performed gave a cutting edge quality that also proved challenging to the musicians and entertaining to the audience who responded to their efforts with a standing ovation at its conclusion. During the day on Thursday and Friday, classes were offered at St. Goban’s College with some of the master performers like Charlie Harris, Geraldine and Eamonn Cotter, Michelle O’Sullivan, Brian Conway, Enda Scahill and Maire ni Cheilleachair providing an important adjunct in musical education for younger people that is a vital component to the work of West Cork Music. For Friday, Saturday and Sunday evening performances, Bantry House, the home of Edgerton Shelswell-White and his wife Brigitte, became an amazing place to see and hear the music programmed for these nights by Hayes. Open to the public since 1946, Bantry House with its dominating presence looking down on Bantry Bay, Whiddy Island and across the Bay the Beara Peninsula with beautiful grounds and gardens is an impressive sight before you even enter the Georgian house to take in the concerts. Attending concerts in the library room has a more formal, stately atmosphere than other any venue that I have attended over the years, providing for a very intimate experience with the musicians elsewhere. Perhaps it is a carryover from the chamber music milieu, but it does no slight to the music rendered by the fine artists recruited by Hayes for this year’s festival. A regular attendee and supporter of Hayes’ Masters of Tradition from the very beginning is Christy Moore, the iconic folk singer and Planxty veteran who has a home nearby on the Sheep’s Head Peninsula. He explained the unique setting of Bantry House to me during one of the concert intervals. Moore is right there, and that is probably the motivating factor for a busy artist like Hayes to take on a project like this every year. The well-traveled and intensely curious and open-minded Clare native, who lived in the U.S. for 25 years before recently returning to Ireland, has formulated this festival in a manner that reflects his own personality and perspective on music and how it plays to the soul. Like many artistic directors, he can indulge and select from his own wish list and favorite performers and have them share their music along with him and Cahill and the audience. The kind of understated presentation in the Bantry House appearances affords the assembled artists the chance to show a more relaxed form of entertainment to the audience who may well be seated in concert format in the grand hall, but could just as easily be sitting by a country fireside as the music flows from the artists. The opportunity to see a very diverse spectrum of significant artists in the traditional realm up close and personal is the drawing card to the Masters of Tradition Festival. Among this year’s lineup were the artists mentioned above and including two lovely trios from the Clare/Galway axis in Kevin Crawford, Tony Linnane and Mick Connelly, along with Charlie Harris, Eamonn and Geraldine Cotter who were just over for the Catskills Irish Arts Week. A third trio named Birkin Tree (Fabio Rinaudo, Michel Balatti and Daniele Caronna) from Liguoria in Northern Italy crossed paths at an earlier Feakle Festival with Hayes and got their invite to Bantry where they fit in very well as “Irish” musicians. Blocking that path for a similar aged Hayes at the time, he joked in the introduction before admitting that “they weren’t far from the truth” as Conway went on to become the pre-eminent fiddler in the American Sligo Coleman tradition. He was accompanied by Brendan Dolan, who also gave superb lecture on the Friday afternoon on the American influences on the music of Ireland starting with Chief Frances O’Neill, whose homeplace of Tralibane, Co. Cork was just a few miles outside of Bantry where a monument stands today. Dolan’s lecture also gave more context to the role of Michael Coleman and the Sligo influence on Irish music first in America where the earliest recordings took place and subsequently back in Ireland. The singing tradition was well represented over the long weekend as well in the entertainment lineup. Maire Ni Cheileachair from Cork taught and sang over the weekend and is recognized as one of the finest of the sean nos tradition which she also shared with John Flanagan, a native of Corofin, Co. Clare and a nephew of Sarah and Rita Keane from the Galway Keane clan of singers. In the more contemporary and folk world of traditional singing came the singing siblings Maighread and Triona Ni Dhomhnaill, whose harmonies were haunting at the Friday night nios deanai (late night) candlelit concert. Rounding out the vocalists were Dublin native Susan McKeown, who has made her home in Manhattan’s East Village for over two decades now as one of its early pioneers in promoting Irish music in that neighborhood, accompanied by Donagh Hennessey. The Masters of Tradition Festival is one that I would recommend to serious traditional music fans, especially if you like to combine your music with sensational sightseeing and heritage touring. Hotels like the Maritime Hotel and Bantry Bay and other accommodations in Bantry are convenient to both the entertainment and the beautiful West Cork region. Thanks to support from the Arts Council, Failte Ireland and the Cork County Council, the Masters of Tradition Festival will celebrate its 10th year in 2012, and you can be sure that Hayes will have something very special on offer so keep your eyes peeled on www.westcorkmusic.ie for details.